The Creative Destruction Lab, considered the world’s premier seed-stage program for massively scalable, science-based companies, has announced an expansion of its program from the University of Toronto's Rotman School of Management to the Sauder School of Business at the University of British Columbia. 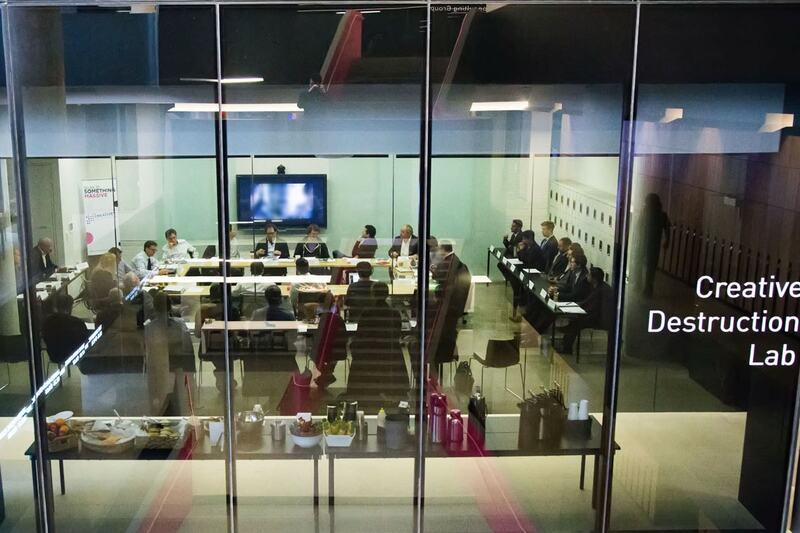 Called Creative Destruction Lab-West (CDL-West), the new accelerator will use the methodology established by the Creative Destruction Lab at Rotman, which employs an objectives-based mentoring process led by highly accomplished entrepreneurs and angel investors. The goal of this specialized program is to maximize the equity value creation of its ventures. The lab is currently running two programs – one for general technology companies and a second for machine learning and artificial intelligence-enabled companies. Both focus on recruiting founders with a deep scientific expertise. “By partnering with UBC Sauder, we will magnify the impact of CDL by drawing in ventures from one of the country’s other leading research universities and B.C.’s burgeoning startup scene to further build the country’s tech sector and the opportunities for job creation it provides,” says Rachel Harris, director of the Creative Destruction Lab. The inaugural program at CDL-West will focus on high technology ventures based in Western Canada with a call for applications in October and the start of the program in January 2017. “We created a model for tech venture creation that keeps startups focused on their essential business challenges and dedicated to solving them with world-class support,” says Ajay Agrawal, Peter Munk Professor of Entrepreneurship at Rotman and the founder of the Creative Destruction Lab. The lab leverages the Rotman School's leading faculty and industry network as well as its location in the heart of Canada’s business capital to accelerate massively scalable, technology-based ventures that have the potential to transform our social, industrial, and economic landscape. The expansion to UBC is one of several recent announcements as the lab and the ventures it has supported continue to grow. Thalmic Labs, a graduate of the Creative Destruction Lab, recently announced $120 million (US) in Series B funding. Since its inception, companies who have graduated from the program have gone on to create more than $800 million (CDN) in equity value. Earlier this month, a gift to Rotman by Scotiabank included funding for the lab as well as sponsorship of the lab’s Machine Learning and the Market for Intelligence conference which will take place in Toronto on Oct. 27. The lab has helped many nascent startups, including Deep Genomics, Greenlid, Atomwise, Bridgit, Kepler Communications, Nymi, NVBots, OTI Lumionics, PUSH, Thalmic Labs, Vertical.ai, Revlo, Validere, Growsumo, and VoteCompass.